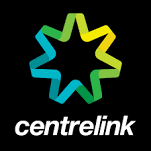 Centrelink is part of the Department of Human Services and delivers social security payments and services to Australians. Centrelink offer's income support and other help if you’re looking for work or completing approved studies to help you get a job. Monday 8:30 am - 4:30 pm. Tuesday 8:30 am - 4:30 pm. Wednesday 8:30 am - 4:30pm. Thursday 8:30 am - 4:30 pm. Friday 8:30 am - 4:30pm. Saturday Closed. Sunday Closed.